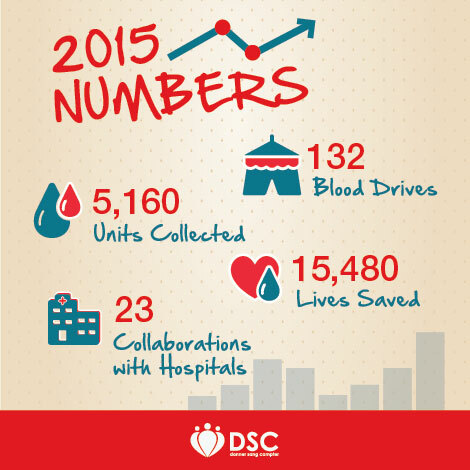 In a year that saw us reach new heights with our mobile blood bank and new call center, we expanded our territories and collaborations with hospitals, and ended up with the above-mentioned numbers that we are proud of, yet not completely satisfied with. We were actually ecstatic to have received a huge number of blood demands, yet frustrated for fulfilling around 55% of them only. This shows how much we are struggling to find donors, and how difficult it is, with the current system of blood donations in the country, to be able to raise the numbers. We count on you to increase the percentages! We’ve also managed to diversify our locations, and land on many campuses for the first time, culminating in a total of 52 universities, from which we collected more than 2,000 blood units. Public places, including malls and municipalities were equally as important, and we look forward to visiting many more in 2016! Companies had a fair share of our blood drives as well, and showed enormous support to our cause. These included banks, factories, and supermarkets, some of whom collaborations are currently being inked with. 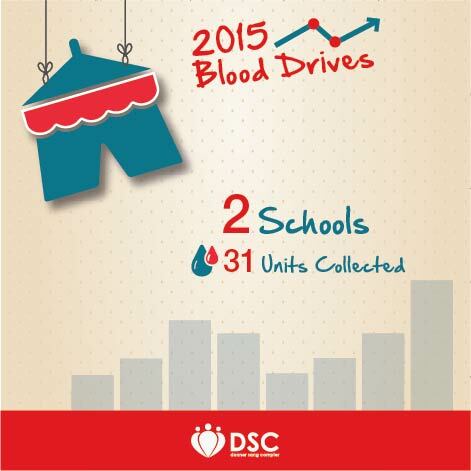 Finally, schools had a modest share of the units collected, since only those aged 18+ can donate blood in Lebanon. That’s why we are focusing there right now on a new program to raise awareness among the young students about the importance of donating blood. 2015 in brief was amazing! But we’re always looking to better the numbers! 1- Becoming a blood donor with us. 2- Becoming a volunteer with us. 3- Hosting a blood drive with us. ← DSC Thanks Spinneys, Renews Collaboration For 2016!